Turn on your fire. Turn on your Light body, your cosmic and creative self and fire. Feel your passions, what is that really motivates you? Go! But inside first, you need to check what is going on inside. Everything starts in your beliefs, what you decide to think and believe. Check and question your beliefs and thoughts, your preferences. Discover the judgments you need to dissolve. Mercury retrograde is asking us to re-think, re-evaluate, take time to feel your decisions, being conscious and aware of what you decide to think and believe. Do you want the best for you? How much you think you love and accept yourself ? Embrace with this Libra full moon, the need to renegotiate, to be gentle and kind with yourself and others, to find solutions through love, integration, inclusion, the win-win way. Don´t judge, blame or complain, it lowers your energy frequency. Feel Gratitude, Compassion, Acceptance, Love, you elevate your frequency. We are Love, our Soul is divine, pure love. we are coming back to this truth. 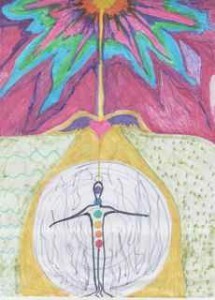 It is a personal discovery to awake and access this truth and dimension. If, I am Love, i don’t “need” love from the outside, i share and i will meet Love everywhere. Become the Love you already are. Think, search, feel, vibrate your true self and essence. Pure powerful and magic Love. Moon Libra-Aries , we-you, us, what are we going to do with our violence, anger, rage and fight? How can we be more happy individually and together? We need to start in ourselves first, re-aligning ourselves and vibrating more love. This Full Moon gives you the opportunity for deep awareness and transformation and rebirth. What do you want?How do you want to feel? Are you saying “yes” to yourself? Aries activates the Inner Warrior, autonomy, fire, also the animal of power, and the need to work with this inner presences to balance our relationships. Animal of Power: Discover instinct and wisdom as allies inside yourself. Feel your strength and connection to Mother Earth through your Animal of Power. You can call it whenever you need to feel safe, strong or when you need to make decisions. Learn to develop a relationship with this powerful ally and feel the active protection it can give you. You can even transform violence through this close relationship. Inner Warrior: He conquers and achieves what you want, outside in the world. You have his help to develop security, affirmation and connection to what you want and desire. You’ll set up habits that serve you, that are designed to ‘energetically’ attract or ‘allow’ your desires to come forth in your life. This inner character (Mars in your Natal Chart) also speaks about your masculine energy inside of you and the masculine energy you attract to your life. 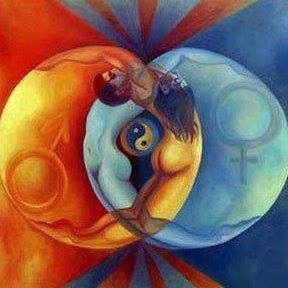 Inner Goddess and Inner Warrior creates your Inner Marriage, develop…Love between them inside. Cooperation replaces competition now, the win win way is the way. We must shine our light stronger into the darkness now, into every corner and cell in our personal and collective bodies, where fear and hate still hide. Aries brings Courage and we can work together to create a new paradigm of life here on Earth. We are marrying our Humanity with our Divinity now in this new species we are destined to be. Observe yourself, observe your mind, educate your mind. We need to know deeply ourselves now, defense mechanisms, wounds and fears, your Light (what you know about yourself) and your Shadow (what you reject, criticize, admire and don’t think you are). This is to free yourself and access you to be, who you truly are. How is your inner marriage?How is the relationship between your mind and your body? And between your humanity and your divinity?How is your inner dialogue? Your external relationships are giving you this information. Relationships are the mirror . Time to discover another way to work with ourselves and to re-create this New Earth. Once you met your inner Goddess and inner Warrior, we can work in the balance between masculine and feminine energies and balance the left and right hemispheres of your brain. You can work in this to achieve a great, loving and fulfilling internal marriage. The imbalance of these two powerful energies leads to a great human dis function and wound. Work and Create inside, this healing change for yourself, and your relationships with others will be transformed. You are responsible for this, no one else is. If you are feeling stuck with yourself, do not look outside, go and look within.You are your limits, they are not outside. Move out of your head and into your heart. Move away from thought and into feeling. But remember you can choose what to think!Don’t worry about tomorrow, just focus on today. Just focus on what you can do right now to bring yourself peace, love, rebirth, balance. Courage, Uniqueness, guided actions, and purpose. Decide to align with what you deserve. So give yourself some space, love yourself, be gentle with yourself , what can you do for yourself now? Then go and do it. I allow my divine plan to happen…my best plan, am i allowing this?Watch your mind, unite your mind to love, a miraculous mind can be developed now. Close your eyes, breath and feel your heart opening, ask for divine help, receive it in your body, filling it, and feel your desires, longings, and deserving ness. What do you want?How do you want to feel here on earth? Just say, Yes, to everything you want, you love, you like, say yes, yes, yes, allow the yes to inhabit each cell, electron, atom, in your body and in every area of your life. Water your life with Yes, affirm the yes. If you say yes the Universe will say yes to you. This is how it works, you are the limit, not the outside. We are free to choose what to think and believe. “ Jupiter is still expanding our hidden horizons, the subtle world is enlightened, the feminine feared power, alchemy, transformation, integration, regeneration, renewing our faith in relationships, love, and a meaningful life, re-birthing times are here! How? Allowing grace and ease, accepting what it is, kindness, gentleness and peace of mind. Where do we need to express our fire?Where in your natal chart this full moon is expressing? 10 degrees Libra-Aries, what natal house/area of your life is affected? Remember your thoughts and perceptions create your reality. Blessings and radiant hugs to each and All of you! Previous post: Alquimia y Magia en la luna llena Virgo-Piscis!